Jack’s Back – and a RAINBOW! This morning was unlike most mornings. My friend Vella recently returned home from her WEDDING (おめでと！パチーパチ!) and she’s been playing catch-up in her AC game. 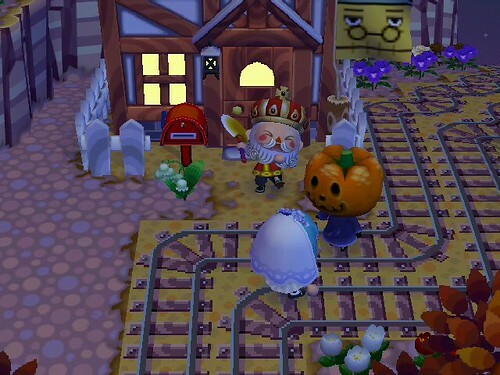 Today she was up to October 31st – which means, a Halloween Reprise! Although I slept late (today’s my day off and I was TIRED lol!) I was able to join in and help her complete her Spooky Set. He sounds like Dr. Seuss! 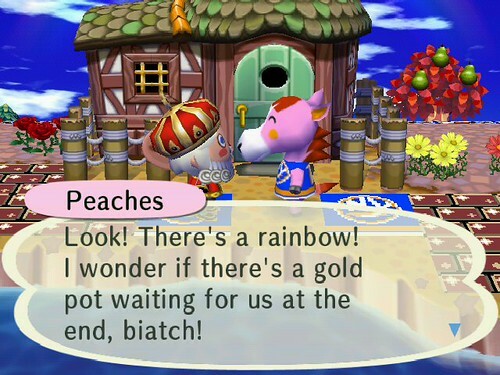 But then Peaches kinda ruined it by calling me a biatch. 😛 Hehehehehehehe!! Don’t forget, there’s new US DLC coming out soon! 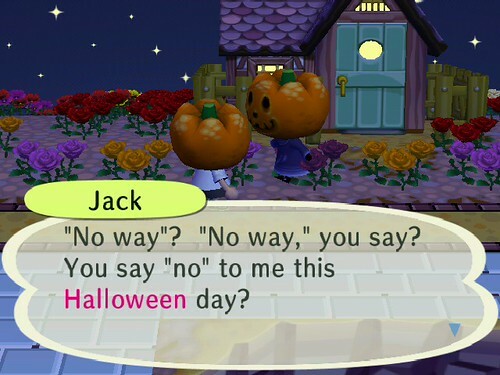 The date hasn’t been announced yet, but I’m sure it will be soon. I’ll post as soon as I know anything! 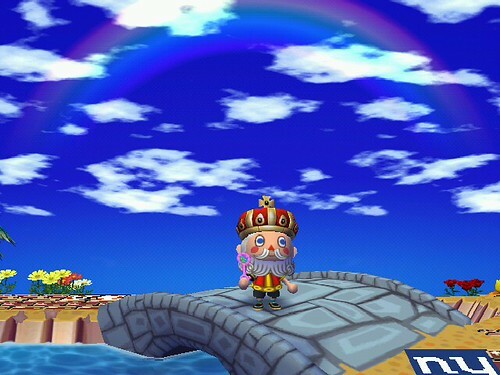 I saw a rainbow in my town a few weeks back! I kinda like it best on CF, personally.